Grey London has partnered independent direct marketing agency WDMP to launch a CRM and DM division. Grey Response will be overseen by Wayne Brown in his new role as chief operating officer of Grey Group UK. 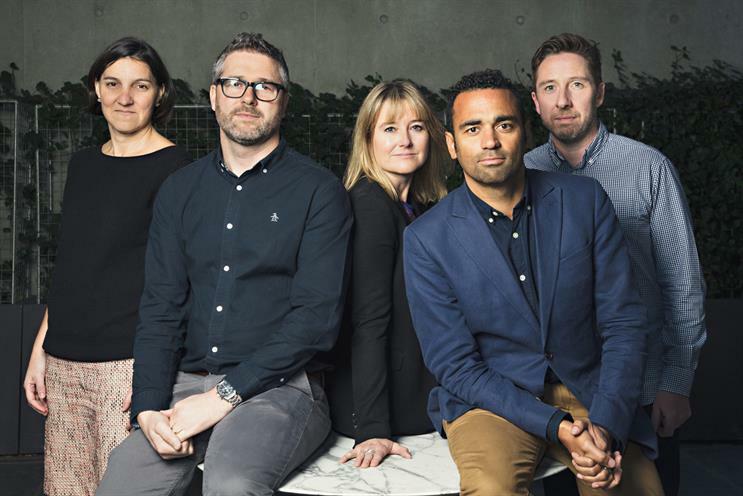 The senior team will comprise managing partner Nathan Gainford, creative director Cressida EatsonLloyd, strategy director Tim Hopkins and director of analytics Laura Castrillo, who moves across from Grey Possible. Gainford, EatsonLloyd and Hopkins all joined Grey this year to work on the launch. WDMP chief executive Gavin Wheeler and managing director Craig Wheeler will also sit on Grey Response’s management board. A further eight people from Grey will work at the division, which will be able to tap into the 40-strong team at WDMP. Under the Grey Response moniker, the two agencies will jointly pitch for business and put together bespoke teams for clients. They will share the revenue accordingly. The business will focus on data science, conversion analytics, customer experience planning, programmatic, demand generation and loyalty. Grey will use the unit to ensure its work for Marks & Spencer is fully integrated. The agency has also extended its remit with existing client Fidelity and won additional work from Vodafone UK – the telecoms brand’s direct response and demand generation business – from SapientNitro earlier this year. Brown said: "Grey Response is perfectly formed to capture the fame we create in culture for our clients and make it work at a deeply personal level. The team bring with them impeccable credentials but, importantly, they are ambitious and share our collective vision. "They are already breaking new ground in programmatic advertising and delivering double-digit improvements in performance." Grey London has not had a CRM offering since Joshua was spun out of the agency to create G2, now Geometry Global. Gavin Wheeler said: "For some time now, WDMP has been pioneering the scientific use of data across digital, social and direct to drive the performance of client campaigns. "Harnessing this to Grey’s renowned creative and engagement capabilities will drive a transformational shift in the nature of responsive communications."